Did you take heed of that warning and avoid the impending danger, or did you ignore your built-in early warning radar and walk right into harm’s-way? Any veteran police officer or soldier who’s seen combat and lived to tell about it will explain that part of their survival was due to trusting their “gut-feeling” that they were in danger. There is nothing magical about this sixth-sense. It’s simply your body’s first reaction to adrenaline entering your blood stream. Your body is getting a shot of adrenaline because your brain has determined that you’re in danger. It isn’t paranoia or imagined fear. It’s real, and you need to pay attention to it. Deadly attention. After thinking about it, you start to understand that while you were talking to the stranger and had that “gut-feeling” that something was wrong; you had seen out of the corner of your eye a second person to your right at a ten foot range. Because you trusted your “gut-feeling” you took defensive action and survived. Had you ignored that un-easy feeling, you would not of been aware of the second person coming at you with a tire-iron. 1.) Move! Don’t wonder why, just move! 2.) If you’re armed, make sure your weapon is ready to be used. Preferably in your hand. 3.) Take a 360 degree look around you. You need to shift to a higher state of awareness, from Yellow to Orange. This is where you identify a possible target. Make your plan of what action you’ll take if the target makes a move toward you. 4.) Stay aware, there’s a good chance you have multiple attackers. 5.) If you’re sure you’ve got a problem, look for the fastest way out. 6.) If you’re unable to tell what caused the “gut-feeling” of danger. Don’t think that your in the clear. The problem may still exist, so let yourself shift back to Yellow, but stay sharp. Be prepared to shift back to Orange should any new target present itself. It’s been part of you since birth. You can see the effects of the instinctual “gut-feeling” clearly in an infant child. If an adult that doesn’t like kids picks up the baby, the baby will cry. If the adult who picks up the baby likes kids, the baby will smile. No matter how the adult acts, or what the adult says to the infant, the baby can sense the adults true intent and will respond to it. Just as a yawn is a signal that you’re tired, and a sneeze the sign of an impending cold. Your “gut-feeling” is a life saving indicator that you’re in serious danger, and to be prepared to take appropriate steps to defend yourself. Was Malcolm Gladwell right? 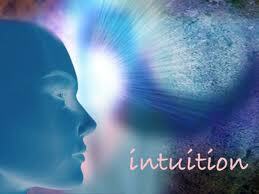 Can you trust your intuition? Blink – and Instinctual Intelligence. NEXT POST Next post: Personal Mastery or Self Mastery – What Is It? A man is what he thinks all day long.